The following table indicates our current installed pricing for typical complete PV Solar systems with and without Lithium-Ion Batteries. We offer no deposit, roof top rental yield Solar PV systems – we pay you to put solar PV on your roof! Our Solar Fund VCC buys the Solar PV system and leases it to you for a period of 10-12 years. 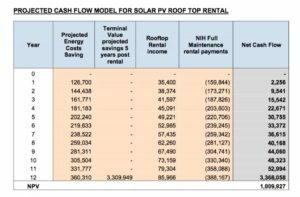 The Solar Fund VCC pays monthly roof top rental and you pay monthly lease installments which are financed by avoided electricity costs. After 12 years you own the system. Your buildings electricity bill must exceed R15,000.00 pm and the Eskom Tariff must be minimum R1.30 Excl VAT/kWh. 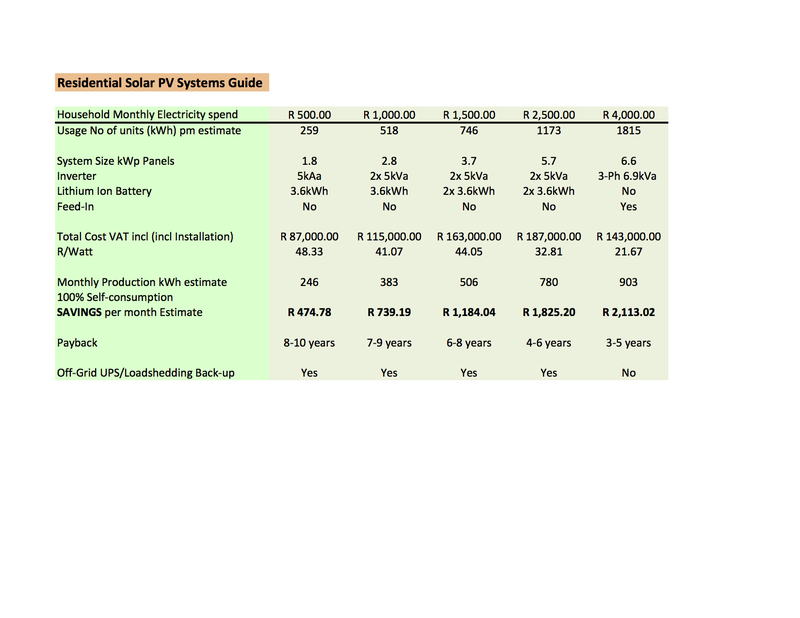 Please see indicative term sheet for a sample project with 68.8kWp valued @ R12.80/W = R880,482.00 excl. VAT. 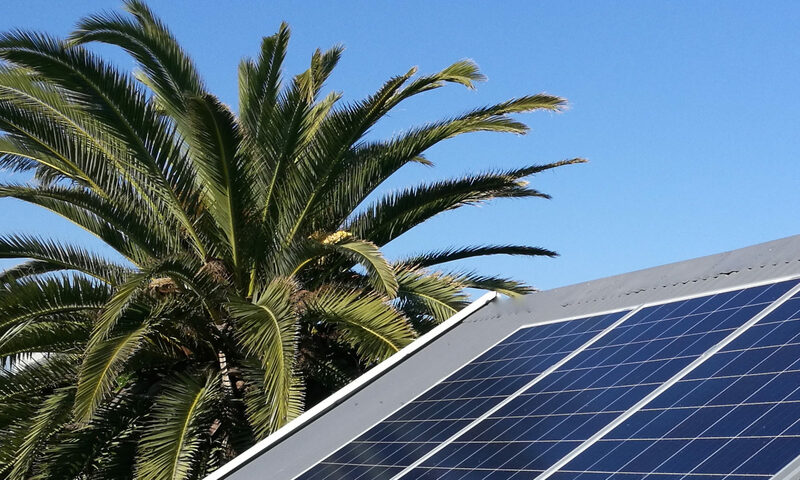 Our commercial Solar PV systems come in at R8.50-R14.00/W depending on size and site. We guarantee most competitive pricing – typical payback on commercial systems is 3-4years with IRR of 20%+. Enjoy 100% depreciation in Year 1 = 28% discount. We do free assessment and quotation – please contact us for more info.